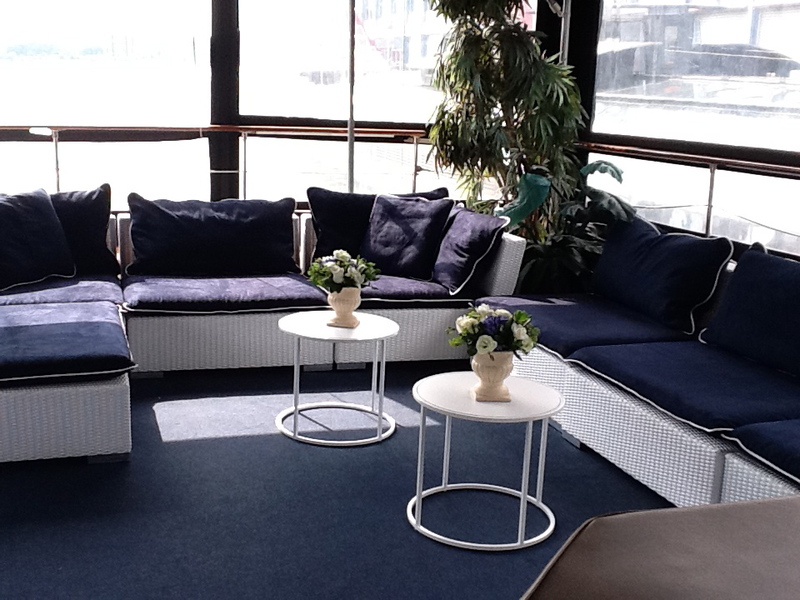 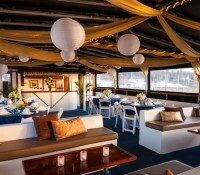 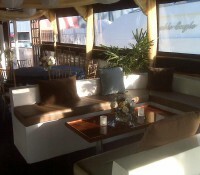 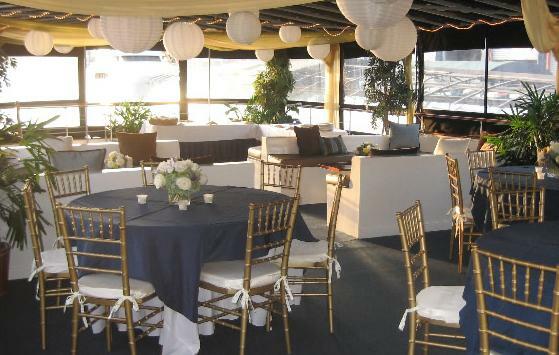 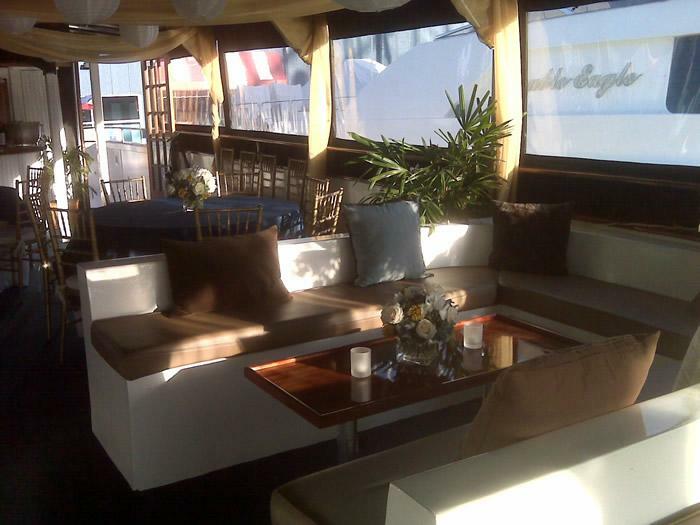 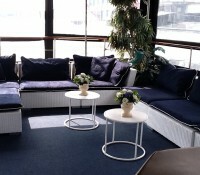 Eastern Star Yacht Charters fully carpeted upper deck offers the best of both worlds by combining classic and contemporary designs, a spacious dining deck with a hip lounge area, Japanese lanterns, palm trees and ambient lighting. 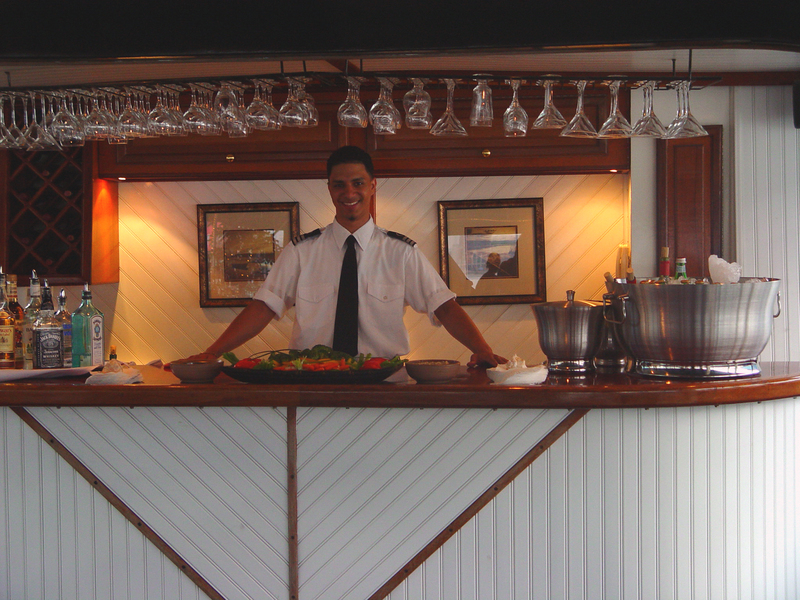 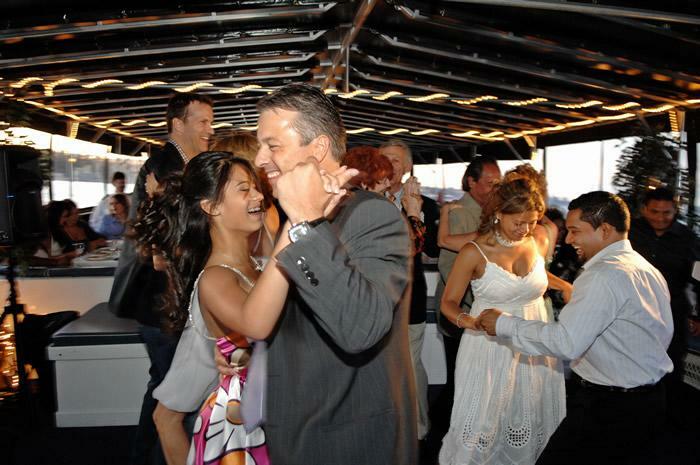 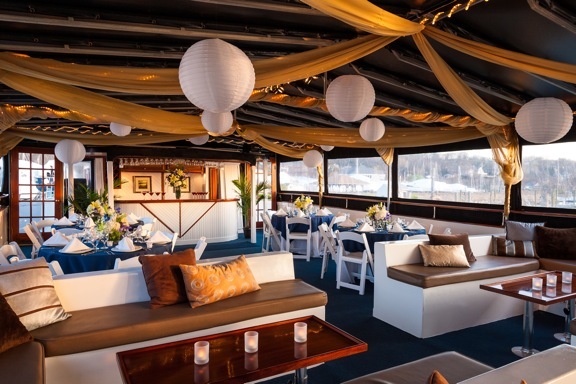 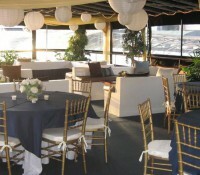 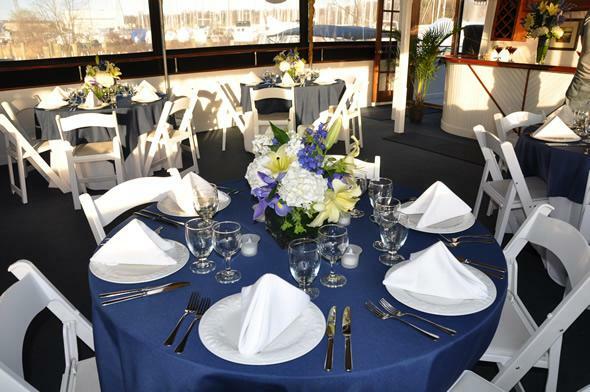 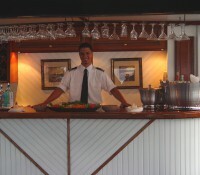 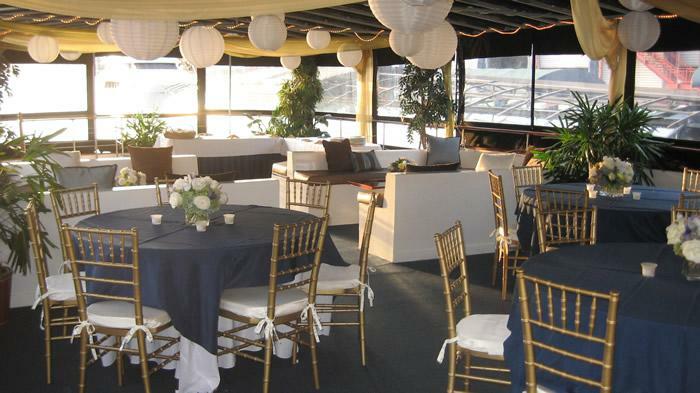 A full-service mahogany bar and state of the art sound system make this a perfect place to celebrate a birthday, a corporate milestone, or an elegant nautical wedding cruise. 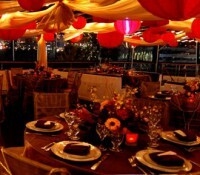 This versatile space can also be re-arranged for special occasions. 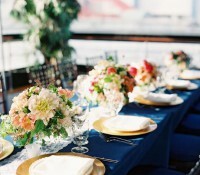 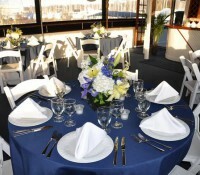 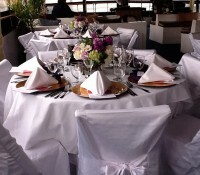 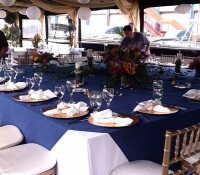 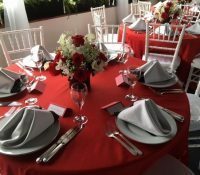 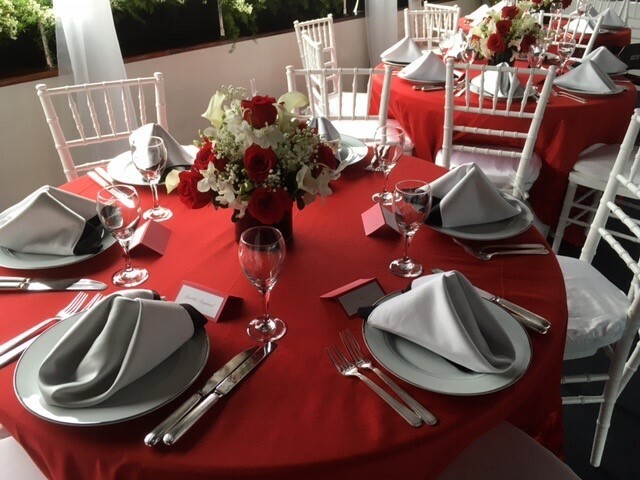 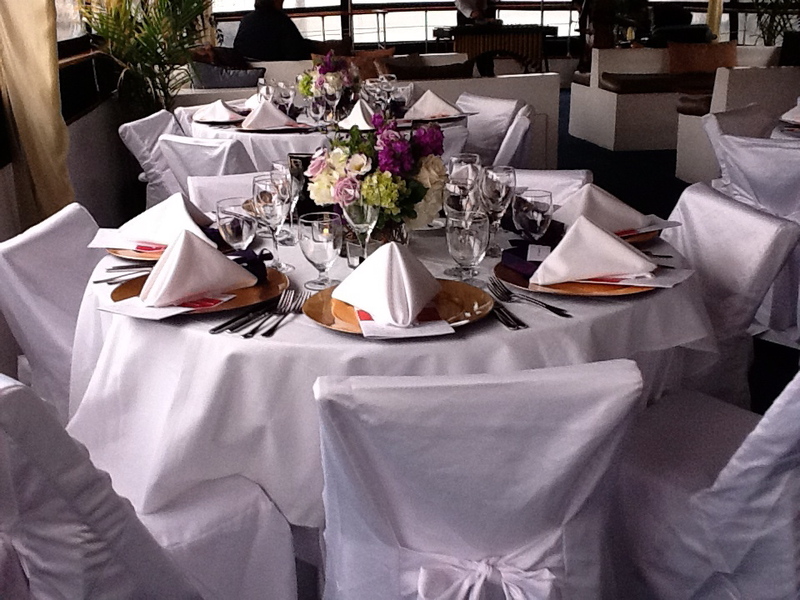 We can assist you with specialty linens, table settings and center pieces for your celebration. 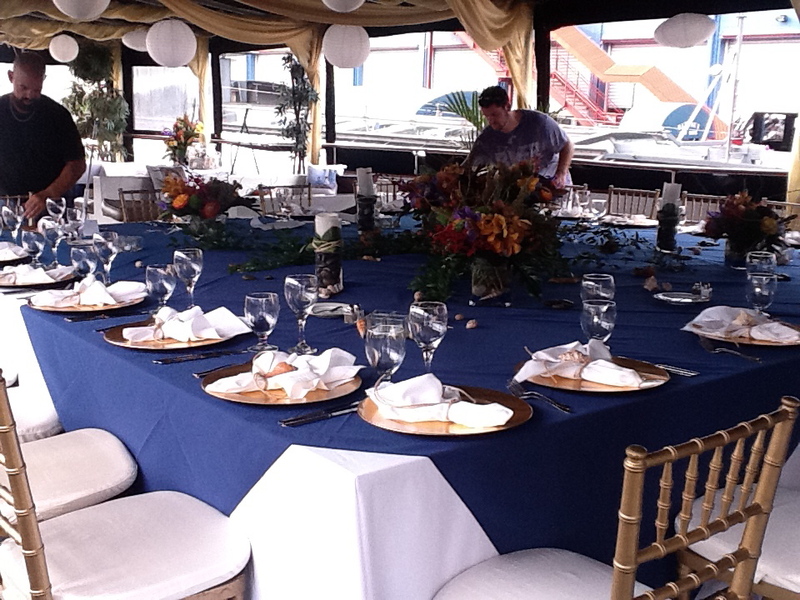 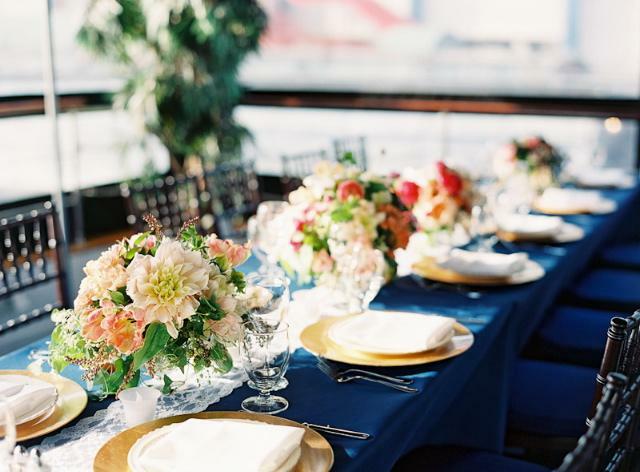 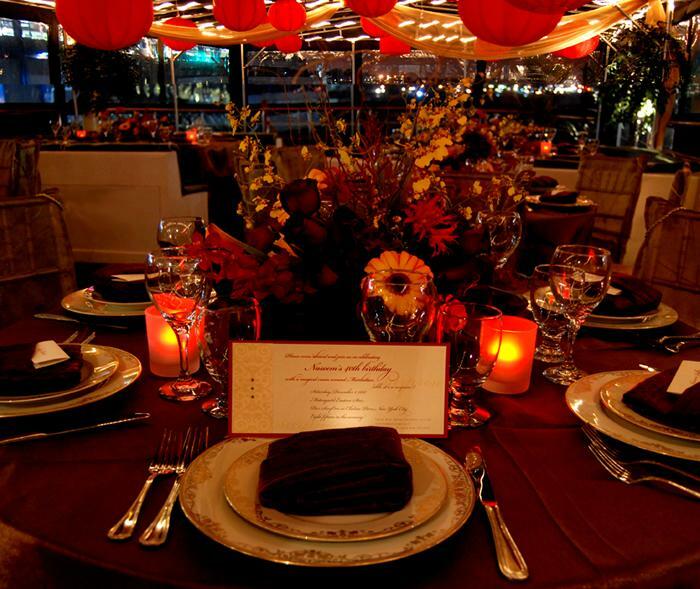 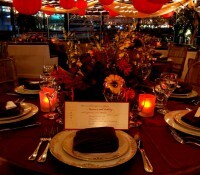 Let us help you coordinate all of the details to create the ambiance you have imagined.